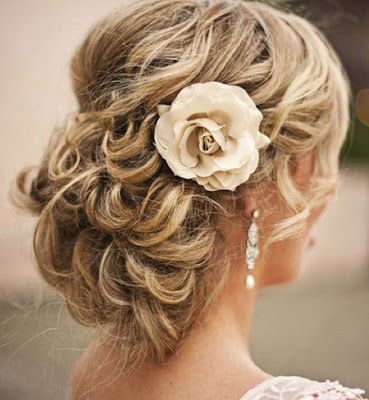 When planning a wedding, sometimes deciding on the bridesmaid hairstyles can be a challenging task for the bride to be. It is very rare that each bridesmaid will have the same length hair. It would be a good idea to be kind of familiar with a variety of bridesmaid hairstyles for all lengths of hair to make the task easier. You can divide the different types of hairstyles into three different categories: up-dos, longer styles and shorter styles. 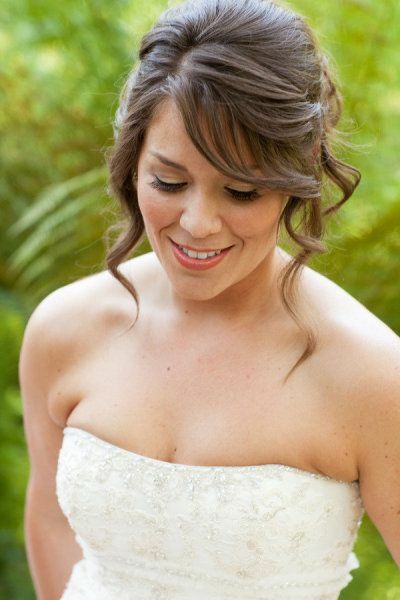 An up-do remains to be the most worn bridesmaid hairstyle. It is the most common because it requires the least amount of maintenance when it is being styled. One of the most popular up-dos is a French twist, because it looks more elegant than a simple ponytail and it can be easily tweaked for different variation and it takes less amount of time to get it put together. The French twist works for medium to long hair and is obtained by gathering all the hair in the back of the head, twisting it inward and securing with hairpins. This doesn't mean that it couldn't be used for shorter hair, but it would be a little harder to do. There are plenty of variations that can be used with a French twist, it just is dependent on the length and the cut of the bridesmaid hair. The bangs could be left out, tendrils can be pulled out on the top or bottom of the twist for a softer look, or pin curls may be added for a more glamorous look. It depends on the type of wedding that the bride and groom are having. For bridesmaids with short hair, the front of their hair can be styled to mimic the other bridesmaids with longer hair or the girls with shorter hair could get hair extensions so that they match the other girls. A flowing curls style is one of the easiest and most popular styles for bridesmaids with medium or long hair. The hair should be curled my hand or set in hot-rollers. The curls are not combed out after they are set. Instead, the curls should be loosely finger-combed with some type of smoothing cream to tame any frizzies and sprayed with hair spray. There's a ton of different things you could do with this style such as, adding a barrette comb and sweeping hair to the side or pulling the top quarter of the hair up off of the face. 0 Response to "Bridesmaid Hairstyles For All Hair Lengths"